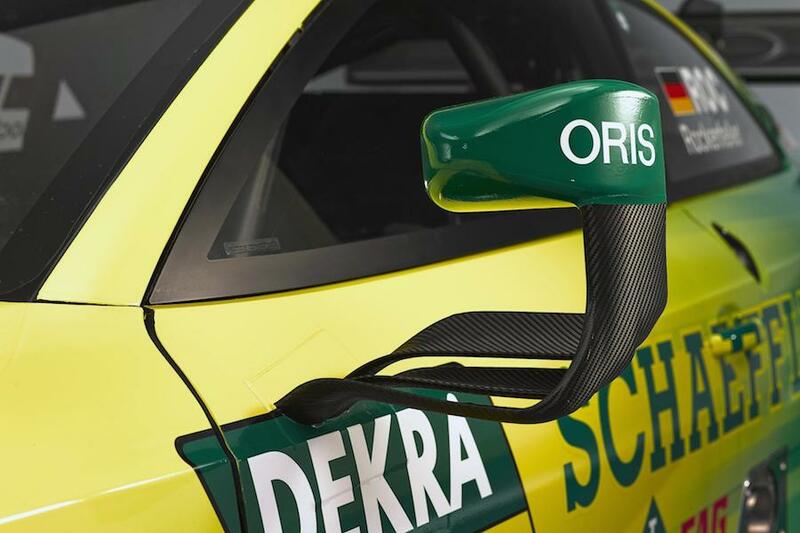 We don’t usually make a habit of featuring DTM on EngageSportMode, but with the release of Audi’s 2014 championship challenger we felt compelled if only for the fact it has the coolest wing mirror mounts ever. 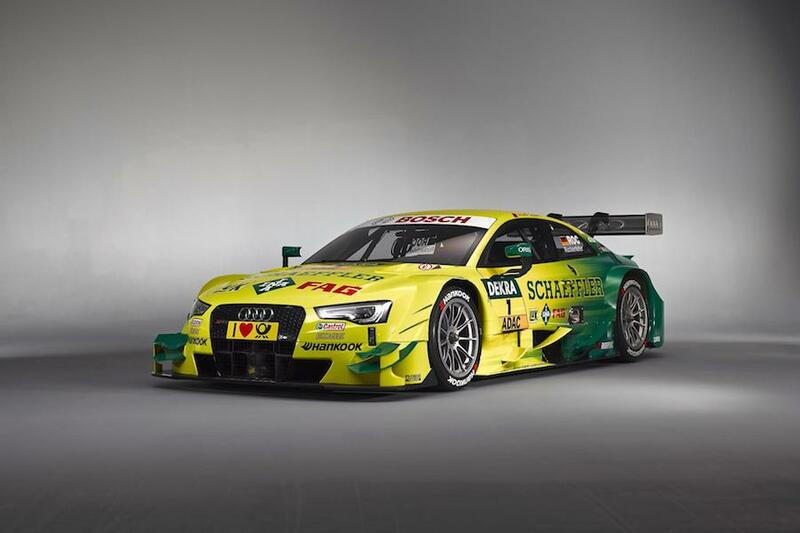 Shown here in the yellow and green colours of last year’s champion Mike Rockenfeller, the DTM RS 5 is certainly eye-catching. In case you’re wondering, and want to save yourself the time spent Googling, the Schaeffler Group are a German company who produce bearings and other automotive components. Now you know. 2014 is an important season for the DTM, and international motorsport, as it marks the first year in which the German series and Japan’s GT500 Super GT championship will use common technical regulations. This extends to both DTM and GT500 using the same basic carbon-fibre chassis design, along with aerodynamic elements like the front splitter and that giant rear spoiler. The overarching aim is to reduce the cost of competition and encourage the idea of teams from both series competing against each other in the near future. But, for now, it’s Germany only and the new RS 5 DTM includes styling enhancements to make the race car look more like those seen cruising the autobahn. Its honeycomb front grille is taken straight from the road car, and the pattern of the LED Daytime Running Lights will be familiar to anyone who has been hustled by an A5 in the outside lane of a motorway. However, unlike the street version, this RS 5 DTM packs a 4.0 litre V8 with 460 bhp driving the rear wheels, compared to the regular car’s 444 bhp quattro setup. It has even less in common with the special edition A5 released last year to celebrate the 2013 title win. Looks even more evil in raw, naked carbon fibre. Round one of the 2014 championship kicks off on the 4th May at the Hockenheimring. Based on last year’s form, expect Herr Rockenfeller to be challenging for title number two against strong competition from BMW with their M4. 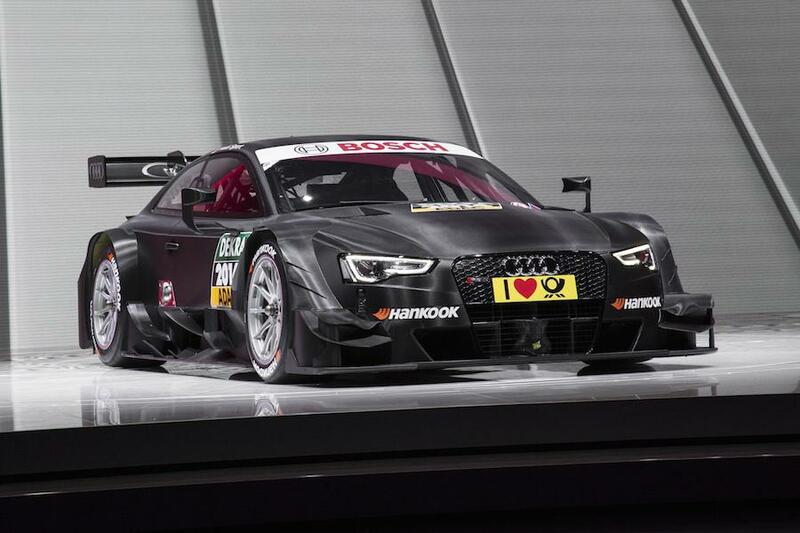 Even before the wheels start turning, DTM 2014 is already lining up the be exciting! Previous Post What did we learn from the 2014 Geneva Motor Show?